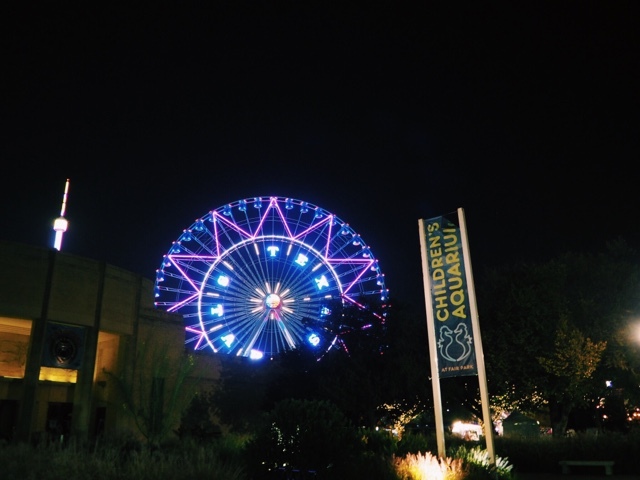 For us Texans, October means only one thing... the season of the State Fair of Texas! 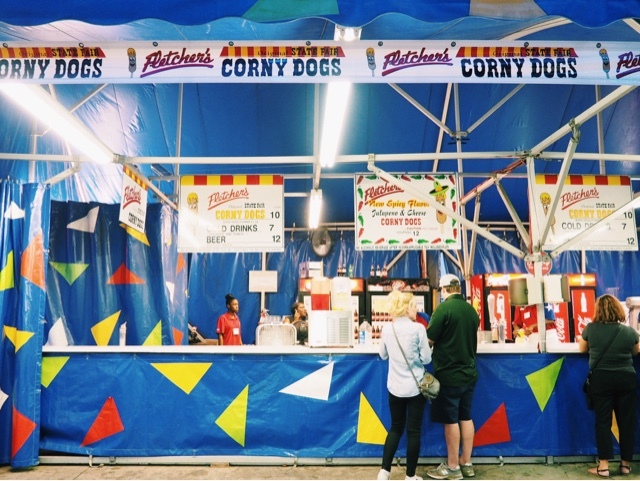 Fried food, stomach-turning coasters, massive plush prizes, endless swarms of people--what's not to love about the fair? I started my day at the Dart Station. I highly recommend taking the train. 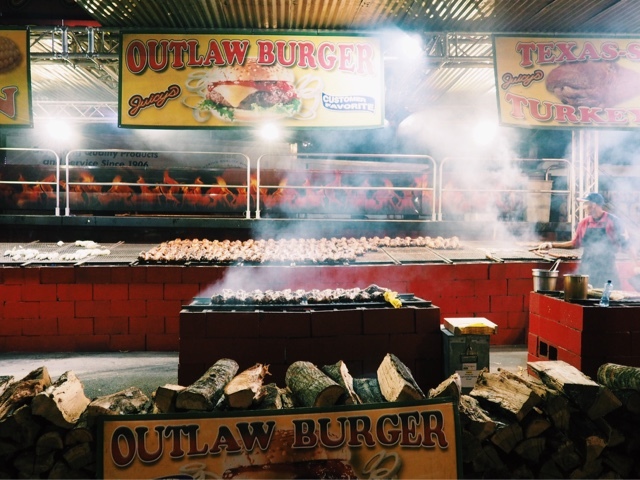 It is incredibly easy, you get to avoid the mad rush of find parking, and you can save the $20 you would've paid on parking for the actual fair! 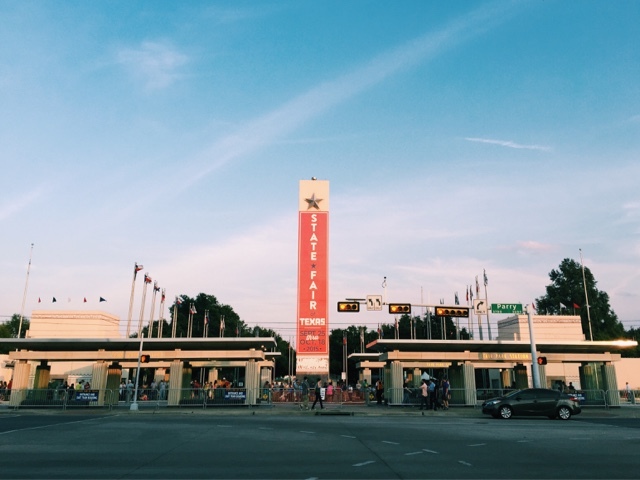 Just remember to get off at the Fair Park station! 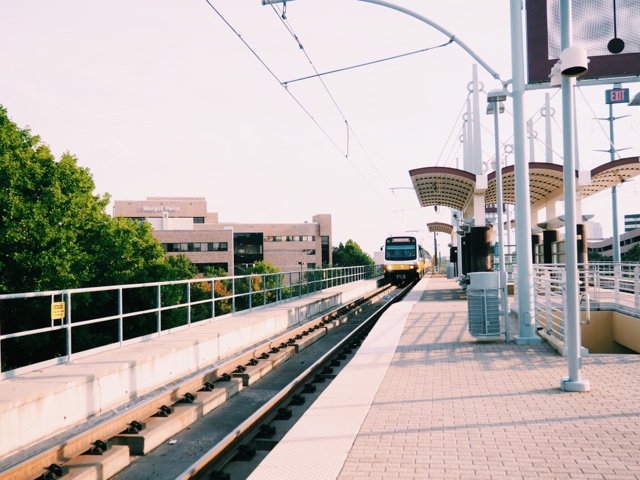 Click here to find the Dart Rail System Map. On Thursdays, you can bring an empty 20 mL Coca Cola bottle for $6 admission (normally $18)! First stop was, of course, the famous corny dog! You can find one of these stands at almost every corner. 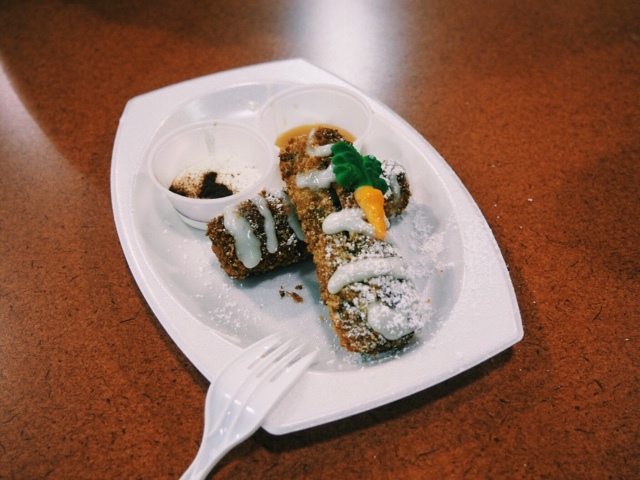 My favorite of the night was the award-winning Holy Moly Carrot Cake Roly (aka fried carrot cake). With a panko and graham cracker breading, this sweet treat will make your taste buds swoon. It is lightly topped with cream cheese and comes with a cinnamon/cream cheese sauce and a caramel sauce. I had a bit of trouble finding where the carrot cake was, so here's a hint: the vendor is located inside one of the shopping buildings near the Chevrolet Main Stage at "The Dock"! 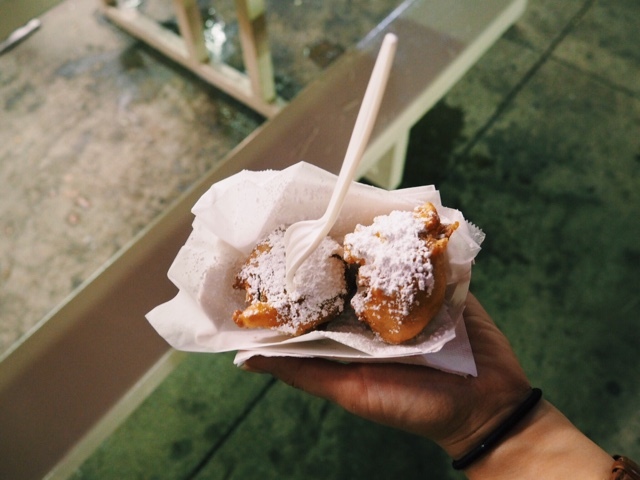 Fried oreos are also one of my must-haves at the fair. They have some specialty fried oreos this year as well. If you're feeling a little adventurous, you can get red velvet oreos, cookie dough oreos, and cotton candy oreos, which are all new this year! Click here for a full list of all the new foods for 2015. 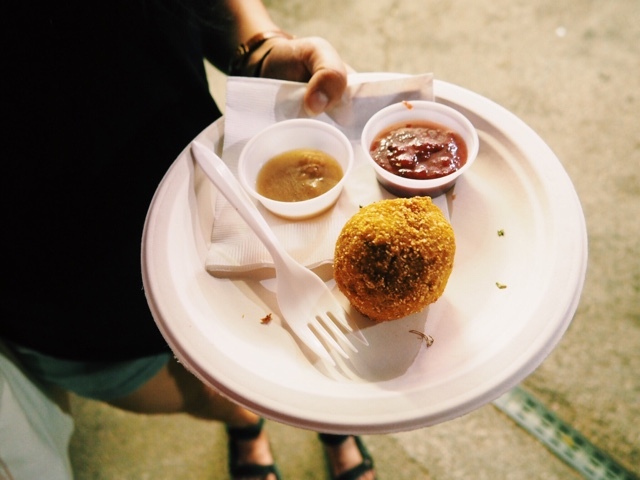 On Thrifty Thursdays, you can get sample sizes for half the tickets! This is perfect for those of us who want to try everything but can't necessarily eat everything in one trip! Click here for a full list of items that offer this special deal. This Fried Thanksgiving Dinner is the real deal! It comes packed with just enough flavor to remind you of the beloved holiday, complete with a side of gravy and cranberry sauce! 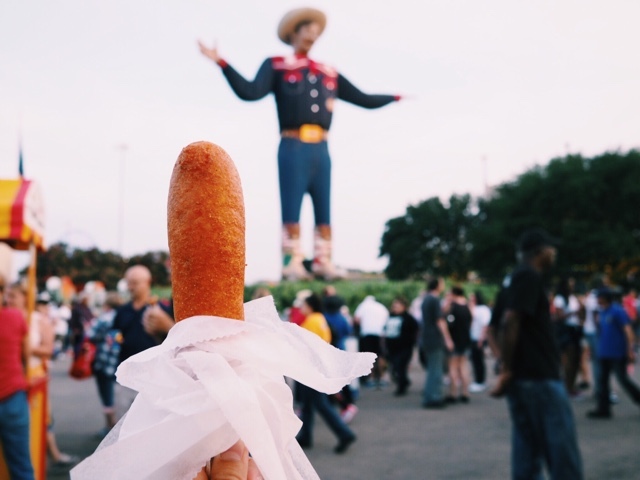 I hope this helps as you make your way over to the State Fair. You have a little over a week left as everything closes down on October 18! Enjoy!